Start an On-demand Service Marketplace. Just like how you see on Uber, track the location of your service provider moving towards your location LIVE. Google Maps is integrated in the software for you to track the providers location and estimated time of arrival. Posting a job, you can directly select the service providers you want looking at the list of service providers available in your locality. Choose the best looking at their reviews. As a service provider, jobs you can take will be recommended on top that are available in your locality. Keeping your future business growth in mind, we have developed Gentack using the cutting edge technology—LAMP. 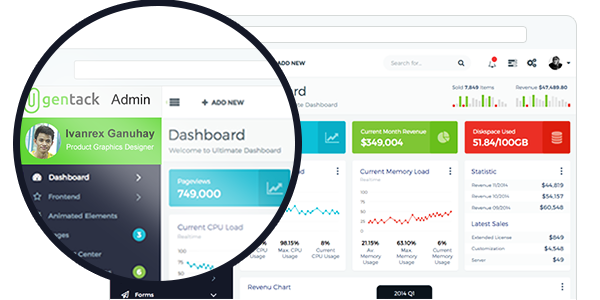 Now you need not worry about Security, scalability and performance of the application. It’s all tested and integrated after several rounds of User Acceptance Testing. Native mobile apps for Android and ios are part of the package. The special part here is you get 2 separate app for both Users and service providers on both platforms – Android and ios. White labelled and easily installable apps. Download $6000 worth Gentack Lite version for FREE! Some business ideas require quick response from service provider when there is an immediate demand for it. Example: Uber drivers have to quickly respond to the demand of a booked ride by customers. Similarly Gentack allows you to provide on demand service. This fast and amazing feature is built with state of the art programming. 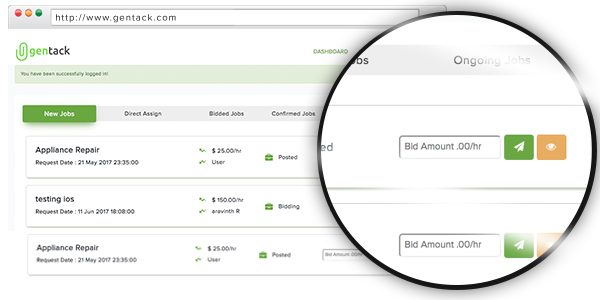 You can enable your providers to bid on gigs on the platform. This feature is designed to help both service providers and users where Users can look at each bid and choose the best. Our rating and review system lets your customer share their feedback on your site. This system will increase user engagement and help you make more money. This also helps buyers to make quick purchase decisions, making them feel more secured using your marketplace. With Integrated Facebook messenger BOT, your users can inquire and chat with the bot anytime. Facebook Bot is available 24×7 for your business and eliminates the human resource on customer support. It can give recommendations for service provider and track and inform users about the service requests. Home Services Industry is a $400 Billion market. I'm ready to Tap it. What can you do with Gentack? ✓ Commission System, being used on almost every servicemarketplace. 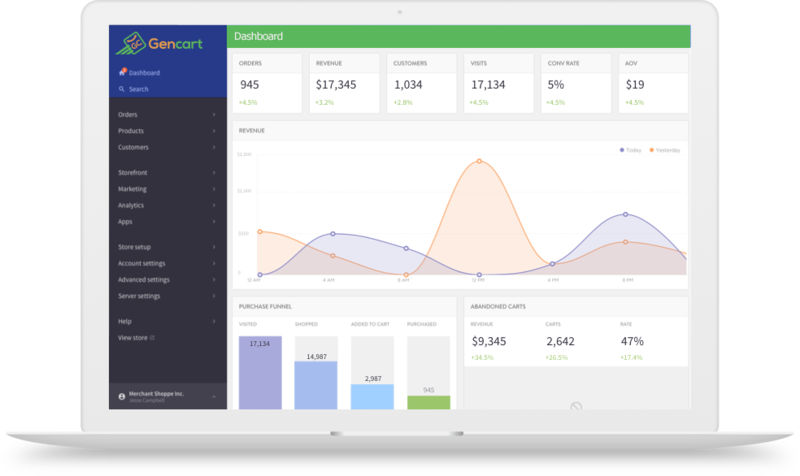 Dynamic Admin Panel allows you to have full control over your website. ➢ Manage Report abuses and reviews. You can start a service marketplace business like Taskrabbit. You can start a business like Thumbtack where you connect local professionals with customers. You can also launch a business like Hello Alfred – Hello Alfred is an American technology company that assigns its members a personal home manager who visits their home each week and works with on-demand and local services to complete errands and to-dos. You can Start your own On-demand app for all services. Simply called ” Uber for X services ” Be it Uber for cleaning, plumbing, dry cleaning, maids, delivery. All in 1 business. 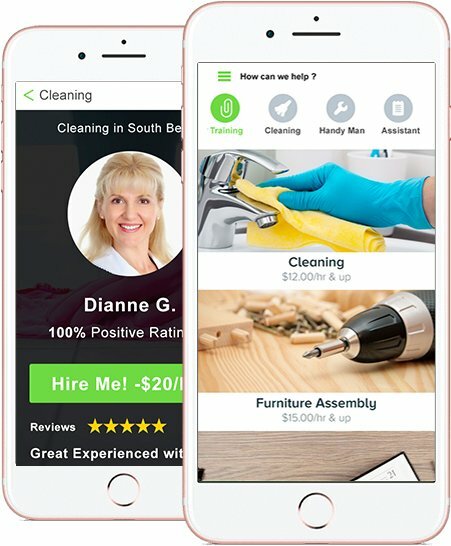 Done by experts, this taskrabbit clone apps has everything you need to run a successful & profitable On-Demand business. Gentack is built on a cutting edge technology which is secure, robust and scalable. Build on LAMP stack ( Linux, Apache, MySQL and PHP ). All themes are mobile responsive. We have implemented queues concept for sending email and push notification. View all the amazing features of Gentack. How does it work? Features list? What's the difference between Free Lite version Vs. Regular License ? Bidding only based on categories. No chat / messaging feature. Only cash on delivery option. Bidding based on location, categories and direct provider selection. User-provider chat / messaging feature. 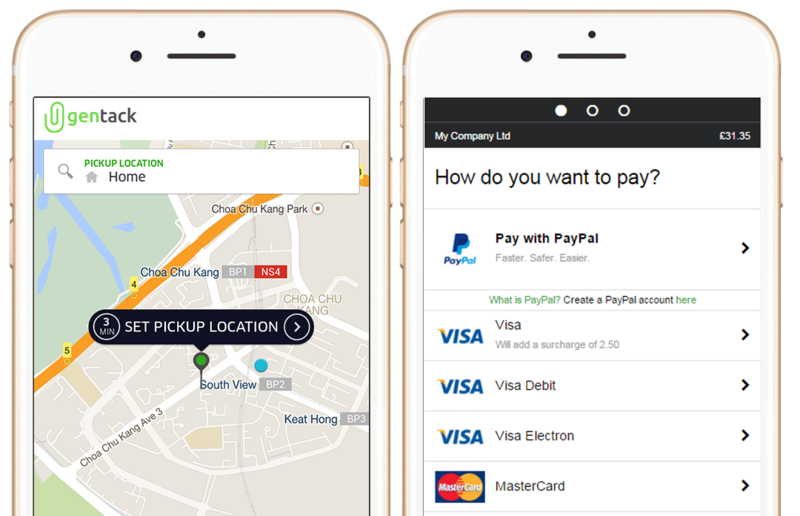 Braintree & Cash on delivery payment options.